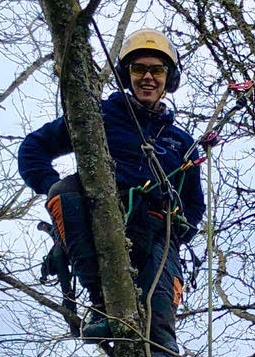 Kathy Holzer is an ISA Certified Arborist (PN-0956A) and TRAQ qualified tree risk assessor with 20 years of experience climbing and pruning trees in the Seattle area. 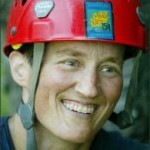 Though she rarely gets to work in the field any more, Kathy was also five-time PNW chapter climbing champion and the 2004 world champion climber at ISA ITCC in Pittsburgh, PA. She has a BA in philosophy from Bowdoin College in Brunswick, ME and is currently studying for the ISA’s highest level of certification – BCMA, or Board Certified Master Arborist. Kathy is an avid reader, studied Aikido for 20 years, and shares a 1928 “fixer” she bought for the big trees on the lot with her lovely partner Levecke. Levecke Mas is proud to join Out on a Limb Tree Co, and support such an awesome crew, and she is not just saying that because she happens to be married to Kathy. She brings over fifteen years experience in front office management to the daily operations of the company, enjoys working with spreadsheets, loves keeping track of details and talking to people. 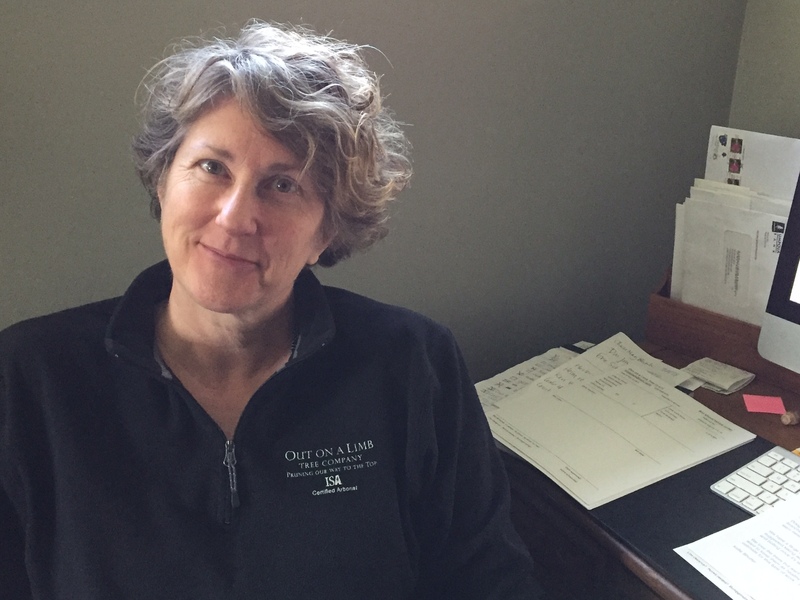 When she’s not working in the office or doing the crossword puzzle with Kathy, she enjoys walking, hiking, riding her bike and traveling as much as possible. Karsten Foerster is an ISA Certified Arborist (PN-7911A) and our crew lead, and has been working in tree care since 2013. Prior to tree climbing, Karsten served a five year enlistment in the United States Marine Corps as a helicopter structural mechanic. Karsten now enjoys using his attention to detail and strong work ethic towards caring for customers’ trees. In his free time he enjoys fly fishing and backpacking. 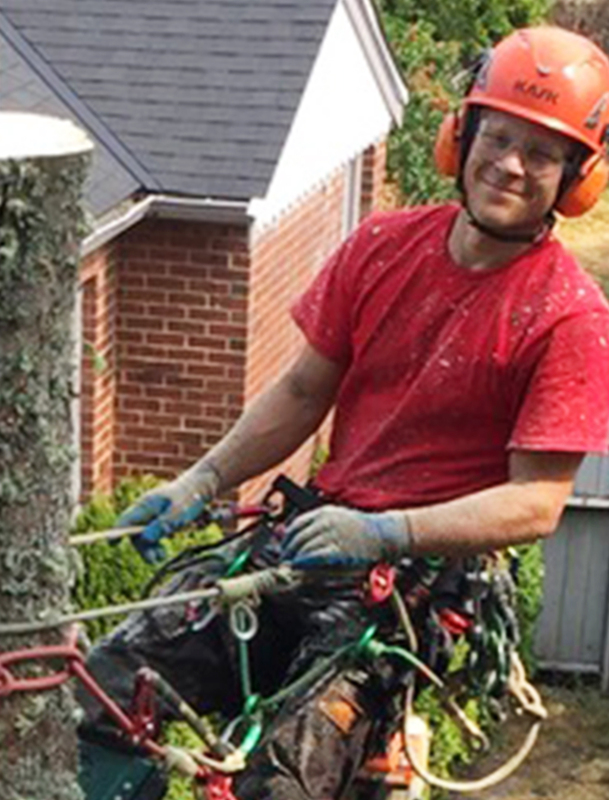 Kyle Strohl is an ISA certified Arborist (PN-8451A ) who came from the hardwood forests of Southeastern Ohio to work in the trees of the Pacific Northwest. He has a BA in Plant Biology from Ohio University and considers himself an avid tree conservationist. In his free time he enjoys rock climbing, hiking, biking, skiing, and anything else that gets him into the mountains. Jamilee Kempton recently moved back to the PNW after living in Hawaii for 8 years. 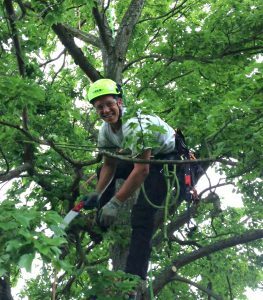 She is a Washington state native, ISA certified Arborist (WE-9767A) and has been working in tree care since 2012. She has a BBA from Shidler College of Business in Hawaii, currently holds the women’s world record for the 50m footlock and was the 2015 women’s world champion at the ITCC in Tampa, Florida. In her free time she enjoys the great outdoors. Dilifera (Dilphe) Manantsoavina is originally from Madagascar, where he worked as a tree climber leading tourists and scientists up baobabs and into rainforest canopies. After moving to the US, Dilphe worked in landscaping in upstate New York and Seattle, but missed working with trees. 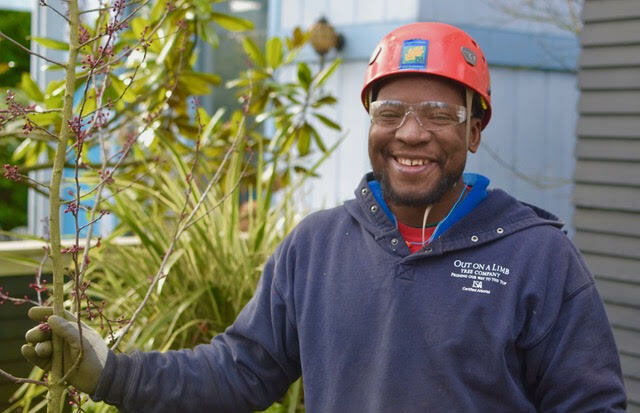 He is happy to now be working with Out on a Limb and learning to care for the native trees in the NW. Winter or summer, when not at work Dilphe will most likely be found at the water’s edge, fishing and enjoying nature. 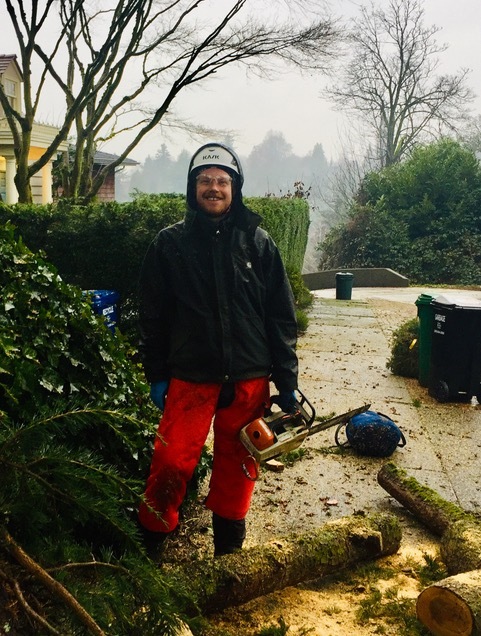 George White is a Seattle local who has been working in tree care since 2016. After graduating from the University of Oregon with a BS in Environmental Science and Biology, he discovered how to combine his passion for climbing with his love for forest ecology through arboriculture. In his free time he enjoys playing in the mountains, printmaking, and making music. 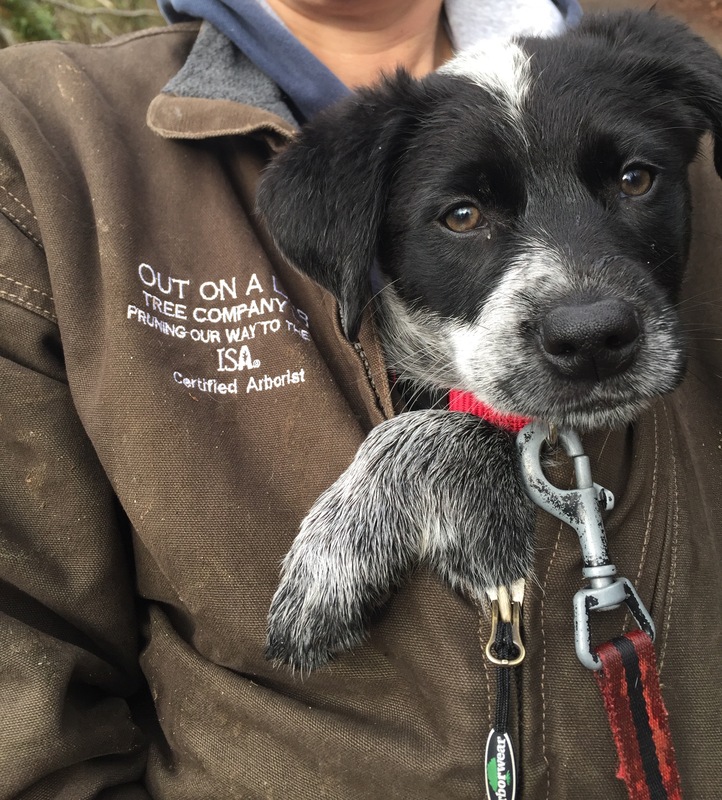 Harley is half Australian cattle dog (“blue heeler”) and half German shorthair pointer, and joined the team at the ripe old age of 8 wks in February 2017. She is very excited to pull her own weight as a member of the team, but we suspect it won’t happen at least until she gets her adult teeth.